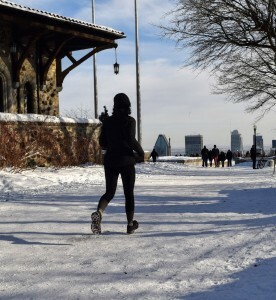 In addition to the wellknown triathlon with cycling and swimming which are really good complementary activities to running, let’s speak about alternative activities to running during winter ! When we speak about skiing as a complementary practice to running, we mostly speak about cross-country skiing. It is a very nice sport to discover if you don’t know it yet and coming to Montreal should be the best occasion of your life! Even in the heart of the city you can ski and that is pretty exceptional in the world. 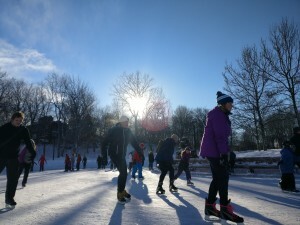 Les amis de la montagne, a non-profit organisation which manage the Mont-Royal Park conservation, offers some session. And as it is very complementary to running, a running shop called in French la Boutique Courir organise cross-country skiing sessions all season round ! Yoga is good all year round, in a lot of different conditions and for everyone. But it is also very good for runners. If you don’t have a regular practice, winter can be a good reason to start it seriously. First inside, there is in Montréal, as in a lot of other big cities in the world, a plethora of yoga studios and you also could try it… outside! And yes! When you are running, you also can visit a city! Particularly if you choose to have a local guide 😉 We offer Montréal running tours all year round! Think about it and see you soon on your next destination, Montréal! 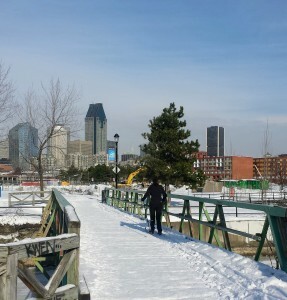 This entry was posted in Uncategorised and tagged Montréal, Montreal running tours, Outdoor, run, Runners, running tours, sightrunning tours, Skating, Skiing, training, Visit, Winter sports. Bookmark the permalink.